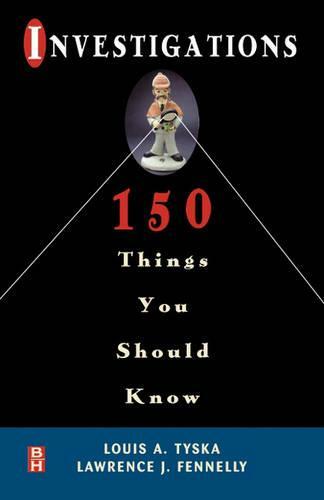 By covering the essential tips and techniques for investigators, Investigations: 150 Things You Should Know becomes a useful reference. By further covering the legal guidelines that investigators must follow, it becomes indispensable. Through anecdotes, case studies, and documented procedures the authors of this book have amassed the most complete collection of investigative information available. This ready reference is for anyone interested in investigations. Readers in and out of the law enforcement field will find this book easy to use and understand when seeking explanations about a wide variety of investigative topics including: constitutional law, documentary evidence, interviewing and interrogating, and surveillance.